The Tungsten Bead Pheasant Tail Jig Nymph is probably one of the best known competition nymph patterns available. Specially tied on a jig hook so that the fly fishes upside-down and close to the bottom. Which means the fly is less prone to snagging on the river bottom. 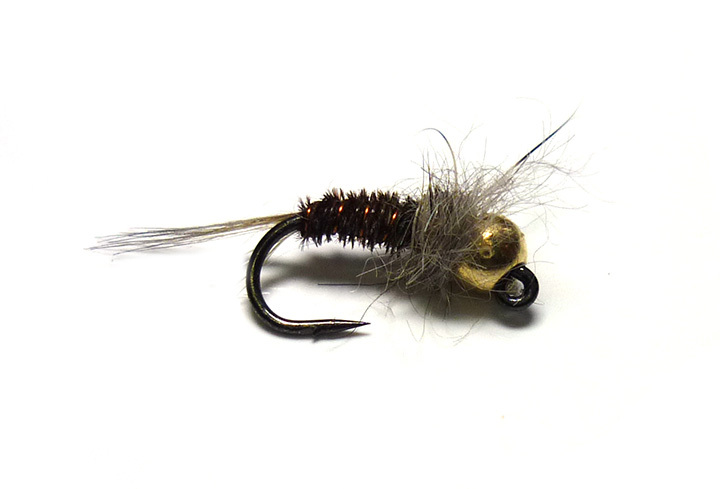 The Tungsten Bead Pheasant Tail Jig Nymph is an ideal fly to use as part of the “Duo Method” on rivers where it is suspended below a buoyant dry fly acting as an indicator. It is also a great pattern to use on the point or middle dropper when fishing short line nymphing techniques such as Czech or French Nymphing.